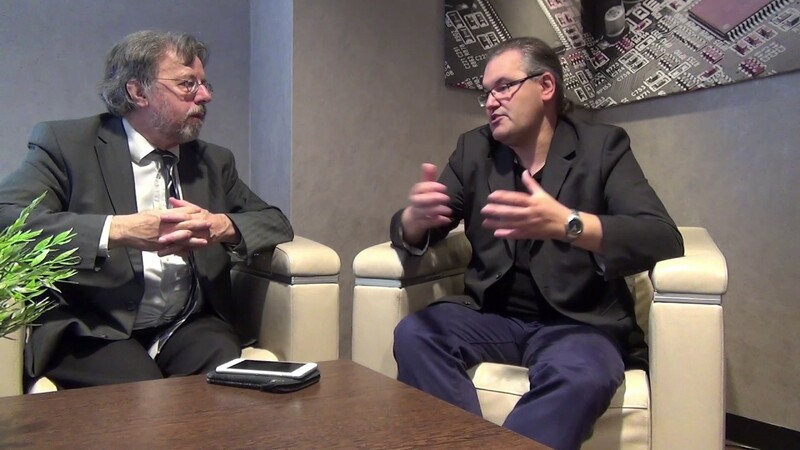 During the Workshops Day at ISC'17 in Frankfurt, Germany, we were able to interview Erwin Laure from the Royal Institute of Technology (KTH) in Stockholm, the largest engineering school in Sweden. KTH has a long history of providing the best HPC services to Swedish academia. These days, this is an essential part for an engineering school and for science. KTH is very happy to provide world-class systems. There are systems which are on the tier-1 level in the European PRACE scheme for the Swedish researchers but KTH also needs to keep up the pace. There is a lot of talk about exascale and scaling, new technologies that are coming in, low-power processors and so forth. The whole field is at change at the moment. KTH needs to keep up constant efforts to be able to support its users, not only with a good technology basis but also with the software, the technologies and the tools they can use. Hence, KTH is involved a lot in both national and international projects where KTH tries to figure out what future technologies are, and most importantly, how they can be used by applications. In national projects, KTH works with material science, engineering, CFD, molecular dynamics, bioinformatics and so forth. Some of these projects are also performed on the European level. One of the greatest things that have been established over the past couple of years in Europe is the concept of the Centres of Excellence. KTH is leading one of those centres in the field of biomolecular research which is a very important area for the future exascale systems. KTH is working with biomolecular researchers to figure out what the usage model is of the future large-scale machines, how you can scale up the software, what the programming models are, and so forth. Erwin Laure thinks it is really a European strength that is has good software, open academia, and that, in industry, there are people who provide excellent software. Now, Europe also starts to have the frame in place through the Centres of Excellence so that it can really show and further advance European leadership in software. There is now a firm commitment from many European countries, including the European Commission, to really go towards the exascale in the next couple of years, so Europe does not lose ground with respect to the USA, China and Japan. This is very valuable, both for the hardware industry that we have in Europe but even more for the applications. It is the European strength that both are being developed. Other countries have more focus on hardware but then actually lose the software. The hardware will not be usable as much as it could. Europe clearly understands that from the very beginning you need to have co-design. The hardware is being developed but the applications are following at the same pace. They are actually driving the hardware developers. The ETP4HPC Workshop is addressing extreme-scale demonstrators. This is a very good example because in the workshop people are talking about how they can build future systems, how they can integrate novel technology, novel building blocks into future systems. Applications, the Centres of Excellence, and science are the underpinning ground for all these discussions. Erwin Laure thinks it is going in the right direction. Europe is making a good example of how things should be set up in this view. ETP4HPC is a typical European endeavour because it is about collaboration but in the end there will also be some kind of competition. We asked Erwin Laure's opinion about this. Erwin Laure stated that KTH has joined ETP4HPC very early on because KTH considers ETP4HPC to be an excellent arena to set European priorities. The strategic research agenda that ETP4HPC is pushing out is really influential on how different European initiatives are being framed, what their context is, and where the priorities of funding should be. By being part of ETP4HPC, KTH can really influence the European Commission, the European funding arena to really focus on what KTH believes is the right thing. ETP4HPC in this sense really is a crucial thing where all of Europe comes together and tries to agree on drawing priorities, which is very important. In the end, there is still a competition, of course, but the ETP4HPC helps you agree on what should be the priorities. How you implement those priorities then is a different thing which happens in a competitive setting.